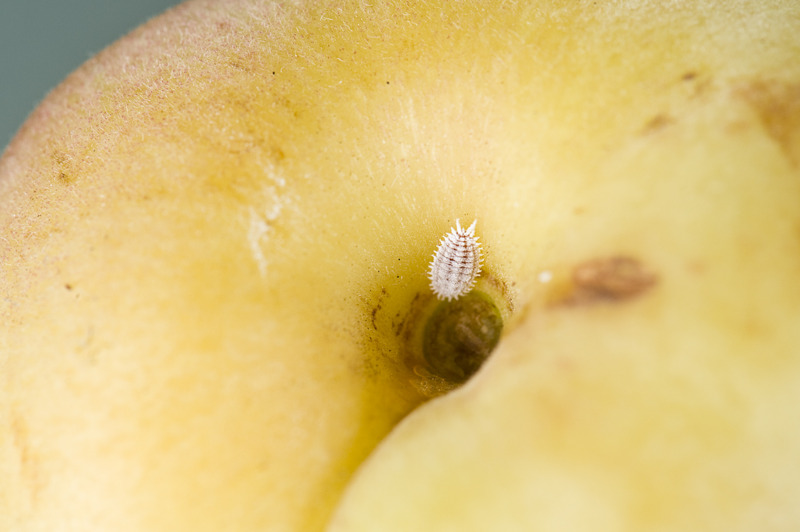 Citrophilus mealybug (Pseudococcus calceolariae) is a serious pest of many horticultural crops that can downgrade fruit quality and affect fruit production. This pest is not known to occur in Western Australia. 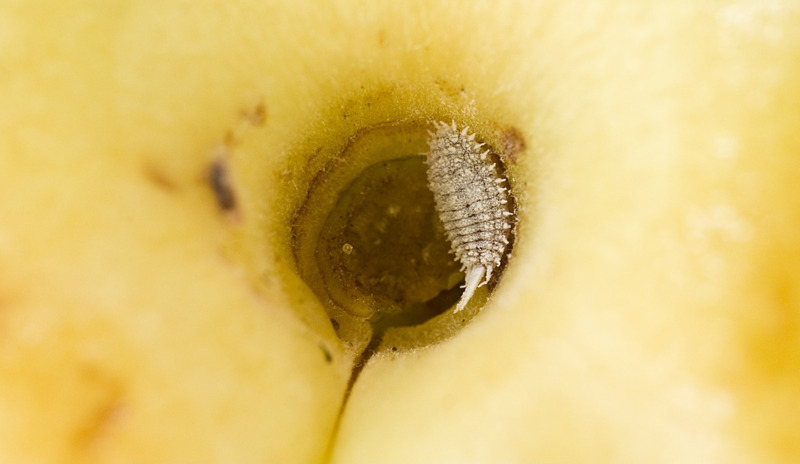 Early detection and reporting of citrophilus mealybug will help protect WA horticultural industries. Citrophilus mealybug is a slow moving, oval-shaped insect about 3–4 mm long with the white, waxy covering typical of many mealybugs found in WA. While most other mealybugs excrete pale yellow body contents when poked, the Citrophilus mealybug has dark red body excretions. 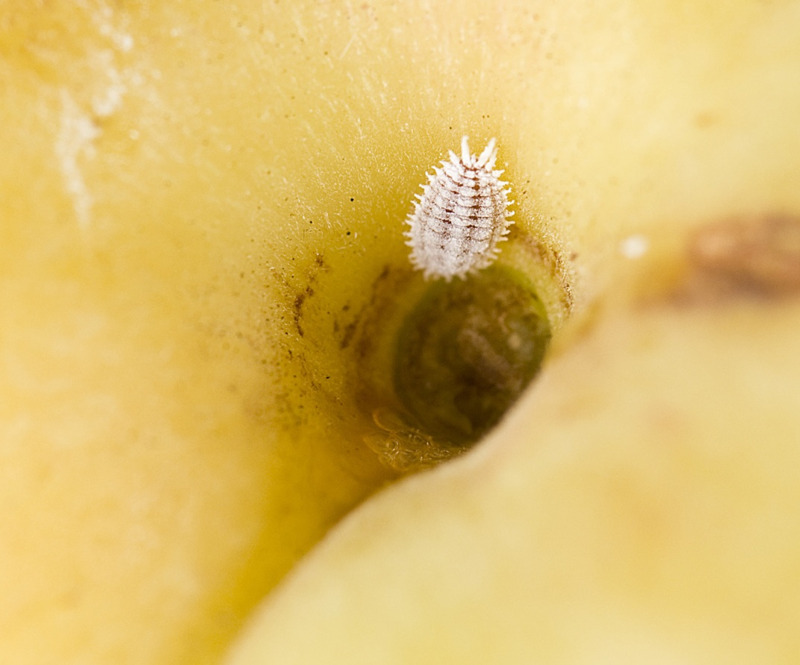 Citrophilus mealybugs extract plant sap, reducing tree vigour and production, and secrete large amounts of honeydew — an exudate high in sugar that encourages development of sooty mould. The presence of honeydew and sooty mould downgrades fruit quality resulting in unmarketable fruit. Fruit production can also be affected through reduced photosynthesis. Pseudococcus calceolariae (Maskell, 1897) is a prohibited organism for WA. It is important that suspect infestations are reported. Early detection and eradication will help protect WA horticultural industries. Please contact the Pest and Disease Information Service (PaDIS) to report this pest.